I am a man, mid-20's, say, with a future stretching before me—open, wild, and free—and a past laid out behind—less open, more wild and just as free. I have held in my palm lives, and I have extinguished them, five or six of them to be exact. One, my protégé—a mere boy, and the man whom before his death I would have called the one closest to me—the others, officers of the law, and I am responsible for the events that conspired toward and culminated in their passing. Let me be clear: for their deaths, each, I am responsible, this I know. Each of their passings was critical, and after the fact—and even before they were finished and through with, and laid settled down to rest—each was justifiably and absolutely worth the hassle. 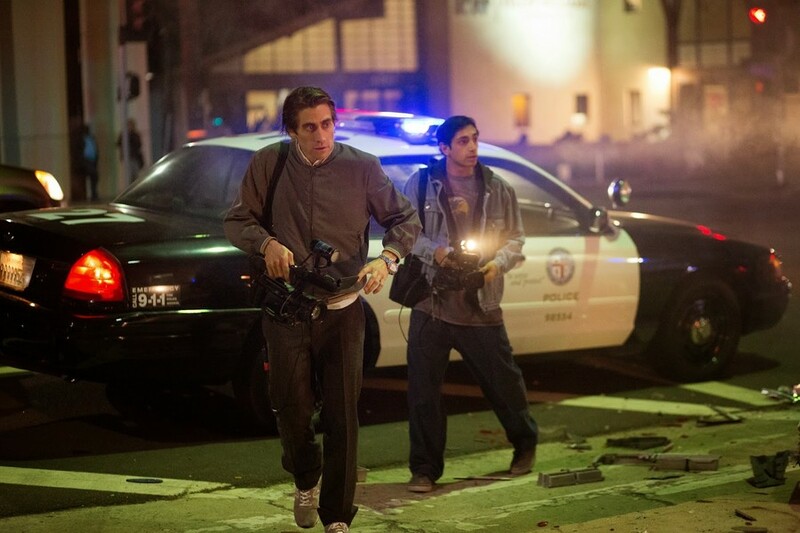 If he could speak of the matter to you, this is how Jake Gyllenhaal’s character Lou Bloom would recount the events that make up Dan Gilroy’s 2014 film Nightcrawler. It is an unnerving affair concerning the rise of a young crime-video journalist set gently at first, and then with increasing rapidity, along the streets that sprawl through contemporary Los Angeles. And let me be clear—and this is your writer talking now—the film is creepy and as skin-crawlingly haunting as that lead-in would have you believe. The film’s setup is uncomplicated: Bloom begins the movie fencing some stolen copper, metals, and manhole covers to an otherwise disinterested construction manager who turns a blind eye to the thievery but also refuses to acknowledge him as a valid employee. He then pulls off on the side of the freeway at the site of a car accident and watches as another man pulls up, jumps out of a panel van and runs charging to the scene with a heavyweight camera attached to his shoulder, filming up close as paramedics pull and hoist a breathing, battered body from out of the damaged vehicle’s window and into an ambulance. And so he is. Lou Bloom is quick, he’s sharp, and though he may not have a formal education, he’s a mechanical thinker who dissects and extracts the tangled human from situations and analyzes the parts left in rigorous systematic fashion. Characteristics which lend themselves, in a strange way, to the pursuit of his new profession. He’s a “stringer” in the terms of the industry; a freelance video guy who jumps onto a crime scene early and shoots film, then sells to the highest news media bidder. And let’s be clear: this is L.A., where news footage is grimy and distasteful and bloody; but when Bloom enters icily with his for-profit efficient analysis, the game changes forever and drastically. The film manages the action excellently, following scenes and moving bodies in a manner that mimics the very story being told: a fast, kind of jerky camera style, with wide angles and sharp cuts that narrow drastically to close onto moments of tension. Freshman director Gilroy builds anticipation impressively and inserts a sinking knot of dread into the stomach, dread that is released in a drawn out final scene of cathartic speed and violence that leaves the moviegoer resting hollowly in a warm numbness. Think of 2011’s Drive, amped up to 11. Nightcrawler is excellently done: just enough rough edges, polished but not overly so, with a creeping soundtrack, and stellar character portrayal by Gyllenhaal. It’s two hours of haunting but enigmatic entertainment.